Google, it seems, is acquiring Lytro. Yes, the company that made that crazy light field camera and then got out of photography to move into VR and cinema is being snapped up. In a deal which TechCrunch report to be worth either $40mil or $25mil, depending on who you ask, Google will pick up the company in an “asset sale”. Presumably, this will include the 59 patents related to light-field and imaging technology which Lytro owns. It’s been a while since Lytro decided to abandon the world of photography and focus on the video solutions. But their latest announcement is another step towards exiting the consumer photography market. As of this month, they are discontinuing their pictures.lytro.com image sharing platform. This means their users won’t be able to share the native refocusable light-field photos online. Also, if your “living” images are embedded somewhere, they won’t be viewable any longer. We first mentioned Lytro’s Immerge virtual reality camera last year. Incorporating their light field technology at its core, it has a very unique appearance resembling something more suited to the set of a sci-fi movie. In the original concept video introducing us to Immerge, the demons shown were mockups. Now, Lytro have released live action VR footage of the system working, and they’re taking us to the moon. One of the technologies that Lytro showed off with its cinema camera was keying out subjects without the need for a green screen. This is also being applied here to separate the foreground from the background. 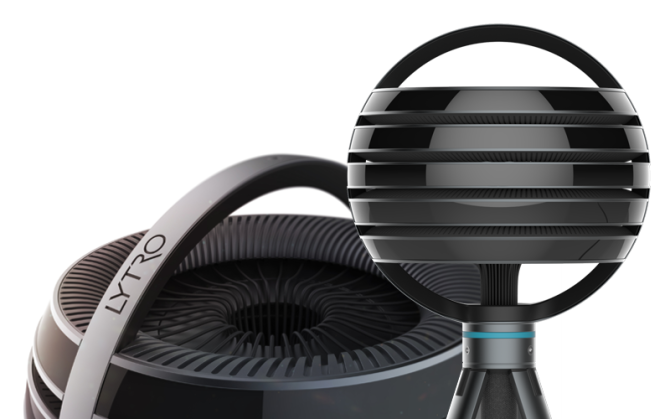 Lytro just announced the first ever Light field virtual reality camera. This is an interesting shift in direction for a company that on one really got what they were doing. While their previous cameras were somewhat gimiky, this new camera may actually have real application in the emerging VR production world. Immerge, a spherical camera captures light coming from every direction, creating a representation of the world outside the sphere. Unlike other spherical capture devices that we’ve seen, Immerge not only captures an image of its surrounding, but also records the depth information of each object around it. Every now and then a new technology comes that threatens to shake the existing paradigm of how photography is done. Mirrorless has done this to a certain extent, removing a significant element form the Camera’s body. But an even bigger step would be the move to computational photography. This is where several small optical and electrical elements use an algorithm to create a photo. Lytro, of course, was a pioneer in that field, but failing to deliver I am sure many are now skeptical about the place such technologies have in the photography market. Today, Light announced their new camera – L16 – which is claimed to deliver DSLR quality image with a smartphone form factor. The camera boasts 16 lenses of 3 focal lengths which deliver an astounding 52 megapixel image. Depth of field (or bokeh) will be set in post production.